The Parachute Festival brings some of New York's finest poets to Coney Island in an iconic New York landscape for an audience as diverse as New York City itself. An amazing night in the Aquarium. a dream, like underwater poetry…so honored to be among the writers and the jellyfish. A real special one for me, to read in the magic that is my home. I enjoyed it immensely. Normally for something like this, you have to travel to the city. Here it was, right in Coney Island in a beautiful atmosphere—gorgeous with the jellyfish. And there were a great variety of readers. It was very entertaining. This is where it began in 2009, although the seed began many years and conversations before that. We had an idea. We thought "Could we create change and positive impact with poetry, free poetry in Coney Island?" In a location full of literary and artistic history from a big bellied, bearded Walt Whitman shouting Emerson to the surf on a desolate Coney shore to a stilt-walking Cary Grant to Rukeyser and Miller to Djuna Barnes and Langston Hughes to...and so we took a leap forth. We created a place, a space in this iconic landscape for those writers inspired by its amusements, waves and people watching to come back and share their words with those who live and work in Coney Island. We invited native New Yorkers: Edwin Torres and Vito Acconci and Tracie Morris to come to the New York Aquarium and read poetry. We invited Cara Benson and Patricia Spears Jones and Emily XYZ to read and lead poetry workshops. In our first incarnation, our name was "Parachute: the Coney Island Performance Festival" ( a bit of a mouthful). We have since distilled it down to a more palatable "Parachute Literary Arts." We hope someday soon to publish an anthology, a compendium of works commissioned and written for Parachute events along with a history of poetry written about Coney Island through the years, so you can witness the amazing breadth and diversity of voices affected by the world famous 3-mile shoreline. And humbly, we recognize that we have our festivals sporadically, on no particular schedule, every so often, when the wind dies down, the crowds go home and the time is right. Called “the Latino poet of his generation,” Martín Espada was born in Brooklyn, New York in 1957. He has published more than fifteen books as a poet, editor, essayist and translator. His latest collection of poems, The Trouble Ball (Norton, 2011), is the recipient of the Milt Kessler Award, a Massachusetts Book Award and an International Latino Book Award. The Republic of Poetry (Norton, 2006) received the Paterson Award for Sustained Literary Achievement and was a finalist for the Pulitzer Prize. A previous book of poems, Imagine the Angels of Bread (Norton, 1996), won an American Book Award and was a finalist for the National Book Critics Circle Award. Other poetry collections include A Mayan Astronomer in Hell’s Kitchen (Norton, 2000), City of Coughing and Dead Radiators (Norton, 1993), and Rebellion is the Circle of a Lover’s Hands (Curbstone, 1990). 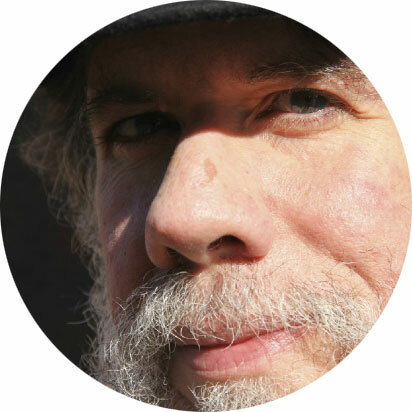 He has received other recognition such as the Shelley Memorial Award from the Poetry Society of America, the Robert Creeley Award, the PEN/Revson Fellowship and a Guggenheim Foundation Fellowship. His work has been widely translated; collections of poems have been published in Spain, Puerto Rico and Chile. His book of essays, Zapata’s Disciple (South End Press, 1998), has been banned in Tucson as part of the Mexican-American Studies Program outlawed by the state of Arizona. A graduate of Northeastern University Law School and a former tenant lawyer, Espada is currently a professor in the Department of English at the University of Massachusetts-Amherst. Writer, vocalist, and sound artist, Latasha N. Nevada Diggs is the author of three chapbooks which include Ichi-Ban and Ni-Ban (MOH Press), and Manuel is Destroying My Bathroom (Belladonna Press), as well as the album, Television. Her work has published in Rattapallax, Black Renaissance Noir, Nocturnes, Polvo, Spoken Word Revolution Redux, Drumvoices Review, Long Shot, The Black Scholar, P.M.S, Bum Rush the Page, Jubilat, Everything But the Burden, Black Belt, and Tea Party Magazine to name a few. Sheila Maldonado is the author of One-Bedroom Solo (Fly by Night Press, 2011), her debut poetry collection. She grew up in Coney Island, New York, across the street from the Atlantic Ocean. Her family hails from Honduras. Her poems have appeared in Rattapallax, Callaloo and Me No Habla with Acento: Contemporary Latino Poetry. She teaches creative writing for The City University of New York and Teachers & Writers Collaborative. She holds degrees in English from Brown University and poetry from The City College of New York. She lives in a one-bedroom in uptown Manhattan where she is working on her next project about a lifelong obsession with the ancient Maya. Tina Chang is the Poet Laureate of Brooklyn. The first woman named to this position, she was raised in New York City. She is the author of the poetry collections Half-Lit Houses and Of Gods & Strangers (Four Way Books) and co-editor of the anthology Language for a New Century: Contemporary Poetry from the Middle East, Asia and Beyond (W.W. Norton, 2008) along with Nathalie Handal and Ravi Shankar. Her poems have appeared in American Poet, McSweeney’s, Ploughshares, The New York Times among others. Her work has also been anthologized in Identity Lessons, Poetry Nation, Asian American Literature, Asian American Poetry: The Next Generation, From the Fishouse: An Anthology of Poems and in Poetry 30: Poets in Their Thirties. She has received awards from the Academy of American Poets, the Barbara Deming Memorial Fund, the Ludwig Vogelstein Foundation, the New York Foundation for the Arts, Poets & Writers, the Van Lier Foundation among others. 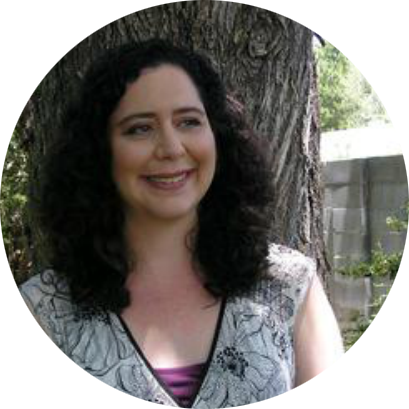 Matthea Harvey is the author of Sad Little Breathing Machine (Graywolf, 2004) and Pity the Bathtub Its Forced Embrace of the Human Form (Alice James Books, 2000). Her third book of poems, Modern Life (Graywolf, 2007) was a finalist for the National Book Critics Cirlcle Award and a New York Times Notable Book. Her first children’s book, The Little General and the Giant Snowflake, illustrated by Elizabeth Zechel, was published byTin House Books in 2009. An illustrated erasure, titled Of Lamb, with images by Amy Jean Porter, will be published by McSweeney's in 2010. Matthea is a contributing editor to jubilat, Meatpaper and BOMB. She teaches poetry at Sarah Lawrence and lives in Brooklyn. Robert Sullivan is the author of Rats, The Meadowlands, A Whale Hunt, How Not To Get Rich; Or Why Being Bad Off Isn't So Bad, Cross Country, The Thoreau You Don't Know, and most recently My American Revolution. His writing has appeared in The New Yorker, The New York Times, New York, A Public Space, Runner's World, Condé Nast Traveler, GQ, Rolling Stone, The Independent of London, The London Times and Vogue. He was born in Manhattan and now lives in Brooklyn. Emily XYZ is an American writer and performer best known for her spoken-word poetry for multiple voices. Born in upstate New York, she moved to New York City in 1982 and was active in the downtown Manhattan performance art and music scene for the next 20 years. Her first spoken-word recording, "Who Shot Sadat"(1983) was named one of two "indie singles of the year" by Robert Christgau in The Village Voice. Her early experiments included 1986’s "Phil Spector, for 8 voices and 3 toy phonographs", before she settled on the two-voice format that has since become a stylistic hallmark. In 1992, XYZ began working with actress Myers Bartlett; this year marks the 20th year of their collaboration. As part of the seminal spoken word companies Nuyorican Poets Cafe Live! and Real Live Poetry, and on their own, XYZ and Bartlett have performed in theatres, arts centers, galleries, colleges and nightclubs across the U.S. and in Australia, Germany and Canada. XYZ is the author of The Emily XYZ Songbook: Poems for Two Voices (Rattapallax). Her work has appeared in numerous venues, including the PBS Television series The United States of Poetry; anthologies such as Up Is Up But So Is Down: New York's Downtown Literary Scene 1974–1992(NYU Press) and Aloud: Voices From the Nuyorican Poets Cafe (Holt); in a 1998 Nike commercial; in the textbook Literature: Craft and Voice, Vol. 2 (McGraw-Hill); and as techno/dance music remixes. In 2010, she was named Arts Queensland Poet in Residence and spent three months writing, conducting workshops, and performing with Myers Bartlett in Brisbane and Melbourne, Australia. She currently lives in upstate NY. In addition to her longtime collaboration with Emily XYZ on stage and in the recording studio, Myers Bartlett is an established voiceover artist with numerous credits to her name. She received a BFA in theatre from Boston University and is currently represented by Innovative Artists, NYC. Joanna is the author of four books of poetry, Pageant (Alice James Books 2009), Moraine (Hanging Loose Press 2006), Ugh Ugh Ocean (Hanging Loose Press 2006) and Freud in Brooklyn (Hanging Loose Press 2000). She is a poetry editor of Ping Pong, and served as the Monday night coordinator for the poetry readings at the Poetry Project at Saint Mark’s Church from 2001-2003 and the Wednesday night coordinator from 2010-2011. She is a graduate of the University of Washington’s MFA program, which awarded her the Academy of American Poets Prize and the Joan Grayson Award. Her books have been taught in writing classes at the University of Louisiana, NYU, The University of Pittsburgh, New Mexico State, The Writers Studio and many others. She has read her work at colleges, literary centers, bookstores, and galleries across the country. Her poems have appeared in many journals, including New American Writing, The Believer, Volt, Fence, Lit, Quarterly West, Conduit, and American Letters and Commentary, and in anthologies published by Soft Skull Press, HarperCollins, New York University, and Carnegie Mellon University. Her poem “Stagflation” won a 2011 Pushcart prize, She has also written short plays that were produced at La MaMa and the Bleeker Street Theater. Her essays on teaching poetry to young people appear regularly in Teachers & Writers magazine. Joanna has been teaching for more than fourteen years. She has taught creative writing at the University of Washington, Duke/Rutgers Summer Program in Berlin, the Cooper Union Saturday Outreach Program, Sarah Lawrence College Writers Village, William Patterson’s Writers Conference, and the Poetry Project at Saint Mark’s Church, as well as through Johns Hopkins Center for Talented Youth, LEAP, the Waterways Project, Teachers & Writers, Poets House and CEPP. She currently teaches poetry writing at Rutgers University and in public schools. She lives with her husband the playwright Robert Kerr. Tracie Morris is a poet, performer and scholar. She works extensively as a singer, sound artist, writer, bandleader and actor. Her installations have been presented at the Whitney Biennial, Ronald Feldman Gallery, the Jamaica Center for Arts and Learning and the New Museum. She holds an MFA in poetry from Hunter College and an MA and PhD in Performance Studies from New York University. Dr. Morris is an Associate Professor of Humanities and Media Studies at Pratt Institute. Her poetry book, TDJ: To Do w/ John (2011) is published by Zasterle Press. 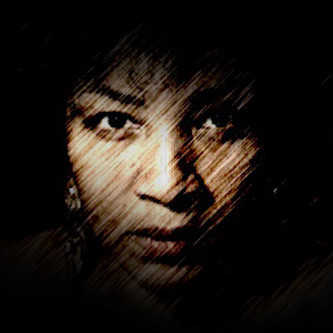 Rhyme Scheme, a longer poetic manuscript, is published by Chax Press for publication in 2012. She is also developing two audio projects: The Tracie Morris Band and sharpmorris, a collaboration with composer Elliott Sharp. A group of New York City poets gathered together to perform a unique site-specific recitation of Muriel Rukeyser's poetry in front of the New York Aquarium, the site of the old Dreamland Amusement Park. Poets in the Believe Project: Caolan Madden, Becca Klaver, Audrey Dimola, Holly Burdoff, MC Hyland, Lauren Besser, Julie McIsaac.